Basically, happiness is remaining healthy. According to this adage, you will have to remain totally conscious about your health during this year; else you may become seriously ill. You will earn a lot of money, but if you don’t take care of your health, then all the money will be spent for your sickness, as per Libra health horoscope 2019. Digestive system disorders, diabetes or leg related ailments are indicated during this period. Your health may start deteriorating from the beginning of January, and you may get hospitalised during the month of March. Besides, August month is also unfavourable for your health and fitness in 2019. During this month you need to be absolutely cautious with your health especially if you are suffering from a disease at present. Make sure you get sufficient rest and adequate amount of exercise as well. This will ensure healthy life and well-being. However, if you take precautions and follow a good diet, then you will get some relief. Some past illness may also recur. But, you can control all these health issues with an appropriate diet. A regular lifestyle and yoga/pranayama will enable you to change all these negative aspects to positive. If you make a habit of walking daily, you can surely avoid obesity. Finally, you will be able to regain your health around the end of this year. If you’re too lazy to go to the gym, activities like dancing and cycling also could contribute towards weight loss according to Libra health horoscope 2019. Drink a lot of water and keep yourself hydrated, eat meals on time and make sure you don’t skip your food anytime. Skipping meals can be very bad for your health especially if you have to take medications. Adopt a good lifestyle to keep your good health intact and undisturbed. In this year 2019, pay special attention towards you’re eating, do not consume oily food. If you are a fast food lover, make sure you avoid it to prevent illness as per Libra health horoscope 2019. You might tend to avoid your health due to excessive stress at work. If you are a heart patient you need to remain extra cautious. Make time for exercise and food as well. Focussing only on work can be harmful for your health. Don’t eat food at restaurants too much. Pack a healthy meal from home and take it along with you at work. This will help you to maintain your health and prevent a stroke according to health and fitness horoscope for Libra in 2019. Even if you don’t get time to hit the gym, you could at least do a little bit of yoga and breathing exercises to maintain your stress levels and keep everything in control. And this isn’t for heart patients only. Every Libra Native should take care of their health and eat well. It is mandatory for us to maintain our health and hygiene. 1. Avoid eating food which is oily and bad for your health and heart. 2. Make sure you keep a track of your 2019 Libra health predictions to ensure that you’re a fit as a fiddle. 1. 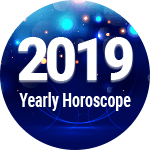 If you have plans of getting that amazing busy this year, work for it and you shall achieve it as per health horoscope 2019 for Libra. 2. Take up other recreational activities as well to maintain mental and physical health. Libra Health And Fitness Horoscope 2019 Overall rating: 4.5 out of 55 based on 1240 reviews.